HOUSTON, May 21, 2018 /PRNewswire/ -- Anadarko Petroleum Corporation (NYSE: APC) today announced that Mitch Ingram, formerly Executive Vice President (EVP), International & Deepwater Operations and Project Management, has been named EVP, International, Deepwater & Exploration. In his new role, Ingram will oversee Anadarko's international and deepwater operations, as well as its global exploration and project-management activity. The company also announced Ernie Leyendecker, formerly EVP, Exploration is retiring after more than 30 years in the oil and natural gas industry. Ingram has nearly 30 years of experience in the oil and natural gas industry and joined Anadarko in 2015 as Executive Vice President, Global LNG. 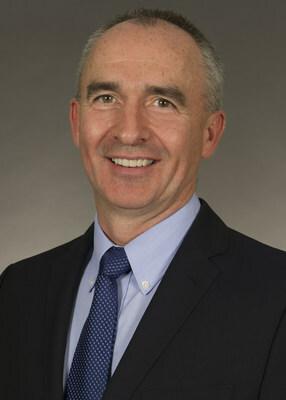 Prior to joining the company, Mr. Ingram worked with BG Group, where he served as Executive Vice President – Technical and a member of the company's Executive Committee. Previously, he held positions of increasing responsibilities with the company's LNG project in Queensland, Australia. Prior to BG, Mr. Ingram was with Occidental Oil & Gas for 20 years, where he held several U.K. and international positions in project management, development and operations. He holds a Bachelor of Engineering in mechanical engineering from Robert Gordon University and is a native of Scotland.